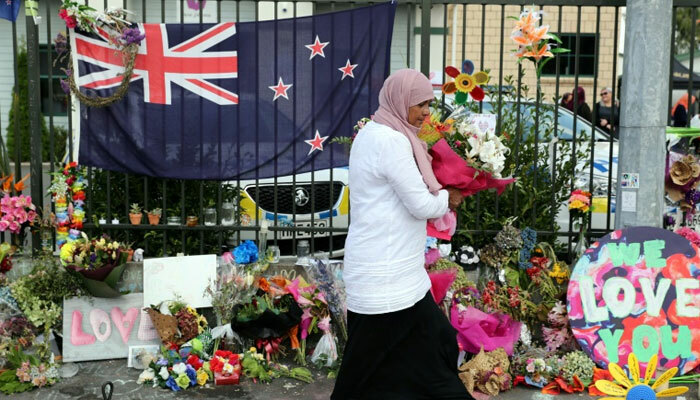 "It´s unbelievable looking at the crowd here, thousands of people gathering behind us during prayers," said Khan, a 36-year-old businessman who flew down from Auckland to attend the service. "It´s a feeling of rejoicing." The crowd reflected the sheer diversity of those affected by last week´s devastating attacks. At the front, divided into male and female sections, were those hit the hardest -- thousands of Muslim worshippers facing the mosque for prayers, including survivors and relatives of those killed. "We´ll stand behind each other -- anyone. Muslims, Christian, any religion." "They´re hurting, they need us, so the least we can do is to stand beside them," Wood, a Christchurch local, told AFP. "There´s only so much we can do. But if it´s little acts of kindness, they will snowball into big acts. It´s the only way things will change." "Today we really did feel the support from everyone. New Zealand has been amazing. Just having everyone by our side -- it truly means a lot to all of us. It´s beautiful, so thank you."